MONTREAL, March 17, 2015 /CNW Telbec/ – Air Canada proudly announced today that it is the airline of choice for Canada’s major professional hockey teams. Under six-year agreements with six of Canada’s best professional teams, the airline will provide air transportation through Air Canada Jetz, its in-house, all-Premium Class charter service operated by mainline Air Canada pilots and flight attendants. “Every franchise needs a star performer to carry it to victory and Air Canada is proud to have been drafted for this role by six of Canada’s top pro teams. 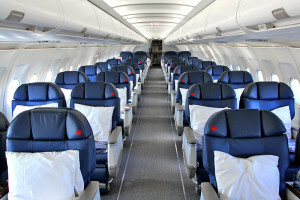 These agreements reflect the fact that the teams recognize not only Air Canada’s reliability but also the superior service offered by Jetz, with such amenities as all-Premium Class seating, dedicated mainline Air Canada crews offering specialized service, in-flight Wifi and the many other benefits enjoyed by Air Canada premium customers. Hockey is Canada’s game and asCanada’s flag carrier we are pleased to be carrying Canada’s best professional teams,” saidBenjamin Smith, President of Passenger Airlines at Air Canada. The six-year agreements begin at the start of the 2015-16 season and cover the Montreal Canadiens, the Ottawa Senators, the Toronto Maple Leafs, the Winnipeg Jets, the Calgary Flames and the Vancouver Canucks. The service will be operated by Jetz, Air Canada’s in-house charter carrier, which uses Airbus A319 aircraft outfitted with 58-Premium Class seats to offer extra legroom and a private jet-like experience. In addition to the six Canadian teams, Jetz also provides air transport services to the Colorado Avalanche. 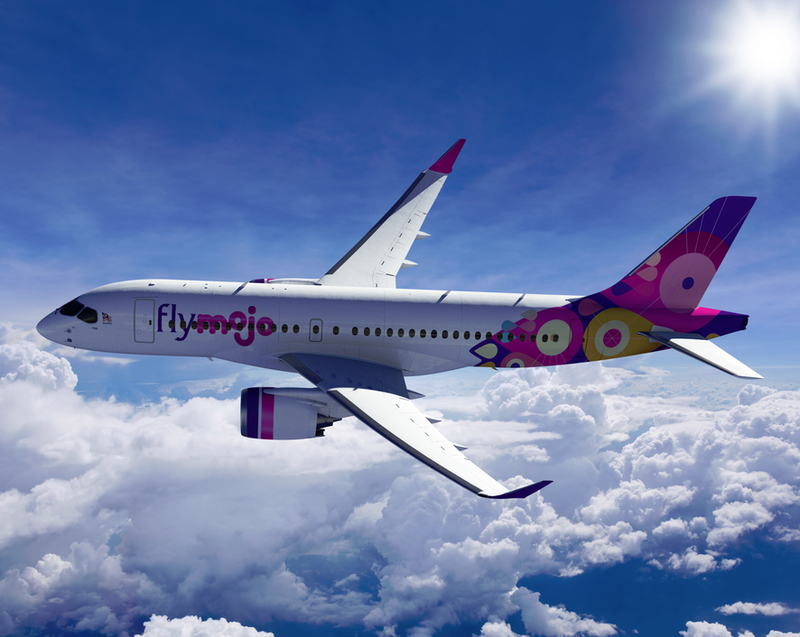 Bombardier Commercial Aircraft and Fly Mojo Sdn Bhd announced today that the parties have signed a Letter of Intent (LOI) for the sale and purchase of 20 CS100 aircraft with options for an additional 20 CS100 aircraft. Upon execution of a firm purchase agreement, flymojo is expected to become the first customer and operator of the CS100aircraft in the region. In attendance were the Right Honorable Prime Minister of Malaysia, Najib Tun Razak, the Honorable Minister of Transport, Liow Tiong Lai, the Honorable Deputy Minister of Transport, Aziz Kaprawi, Canada’s High Commissioner to Malaysia, Her Excellency Judith St. George, flymojo Chairman, Alies Anor Abdul and Vice President, Sales, China and Asia-Pacific, Bombardier Commercial Aircraft, Andy Solem. “The announcement of a new airline in Malaysia is an exciting way to kick off LIMA. With flymojo’s primary hub at Senai International Airport, Johor and secondary hub in Kota Kinabalu, Sabah, the airline’s ultra-modern fleet of CS100 aircraft will play a key role in improving connectivity between the Peninsula and Sabah and Sarawak, as well as other parts of the region,” said Deputy Minister of Transport, Aziz Kaprawi. “In addition, as the only airline utilizing the Southern Corridor as its headquarters, flymojo will transform Senai into a key regional aviation and logistics hub – augmenting the government’s initiatives in developing Iskandar Malaysia and the Southern Corridor. Further strengthening Kota Kinabalu’s standing as a gateway into Malaysia, flymojo will also boost tourism into Sabah and Sarawak,” added Deputy Minister Aziz. “Born of the desire to make air travel a much-anticipated and longed for experience, flymojo is dedicated to providing value, and exceptional customer service that will focus on putting the human touch back into flying,” said flymojo Chairman, Alies Anor Abdul. “We are confident that our model will resonate deeply with our passengers and that the use of the technologically advancedCSeries aircraft will transform the aviation industry in Malaysia and the region,” added Mr. Alies. “With its strategic market footing and unique operations, flymojo is an ideal match for the all-new CS100 jetliner,” said Mike Arcamone, President, Bombardier Commercial Aircraft. “The CSeries family of aircraft will enable new airlines such as flymojo to cover markets efficiently thanks to its exceptional economics, operational flexibility and widebody comfort, coupled with an unmatched environmental and noise footprint. “The CSeries family of aircraft’s game-changing technology, and its two models – the CS100 and CS300 jetliners — provide airlines the capability for natural progression in terms of market coverage and passenger capacity,” added Mr. Arcamone. Bombardier is creating the future with its CSeries aircraft — the only 100 per cent-new family of airliners specifically designed for the100- to 149-seat, single-aisle market. Benefitting from a clean-sheet design that includes leading-edge technology and systems integration, advanced materials and latest generation aerodynamics, the CSeries aircraft offer a 15 per cent* cash operating cost advantage, a 20 per cent* fuel burn advantage, exceptional operational flexibility, widebody comfort and an unmatched environmental and noise footprint. The CS100 aircraft offers unmatched flexibility for many airline business models and is an ideal solution for hot-and-high and city-centre airport operations. Bombardier has booked orders and commitments for 603 CSeries aircraft, which include firm orders for 243 CSeriesairliners. flymojo, operated by Fly Mojo Sdn Bhd, is a new airline targeting the travel market within ASEAN and the regions bordering it. flymojo was born out of the desire to make air travel a much-anticipated and enjoyable experience. flymojo aims to deliver value and exceptional service to our customers, and to put the human touch back into flying. flymojo intends to set the standard in passenger comfort, on time performance, inflight entertainment and communication, as well as in delivery of seamless services. flymojo will operate out of its primary hub at Johor Bahru, Johor and secondary hub at Kota Kinabalu, Sabah. Bombardier is the world’s largest manufacturer of both planes and trains. Looking far ahead while delivering today, Bombardier is evolving mobility worldwide by answering the call for more efficient, sustainable and enjoyable transportation everywhere. Our vehicles, services and, most of all, our employees are what make us a global leader in transportation. Bombardier is headquartered in Montreal, Canada. Our shares are traded on the Toronto Stock Exchange (BBD) and we are listed on the Dow Jones Sustainability World and North America Indexes. In the fiscal year ended December 31, 2014, we posted revenues of US$20.1 billion. News and information are available at bombardier.com or follow us on Twitter@Bombardier. 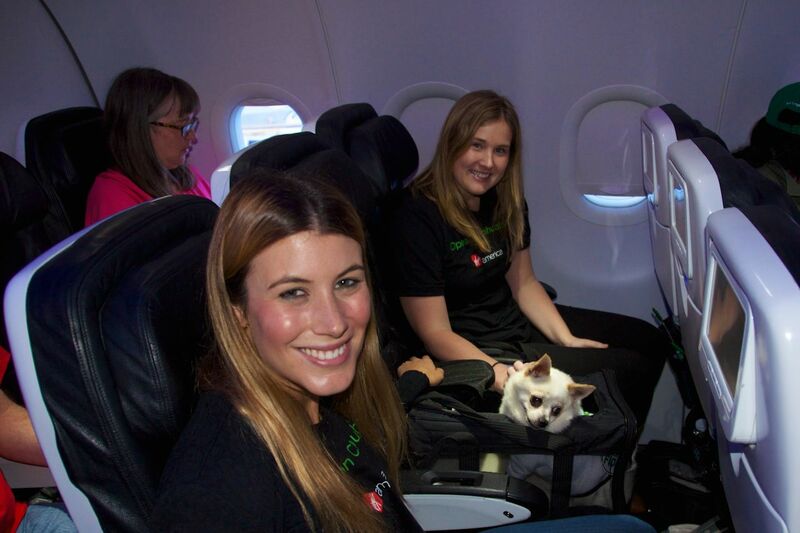 SAN FRANCISCO, March 17, 2015 /PRNewswire/ — Today, Virgin America, San Francisco’s hometown airline, is assisting the City of San Francisco Animal Care & Control (SF ACC) by flying Chihuahuas in need from San Francisco to the New York area so they can be adopted quickly into loving homes. The overpopulation of Chihuahuas in California continues to force animal shelters on the West Coast to look to shelters on the East Coast for help – where the dogs will quickly be adopted. As the only San Francisco-based airline, Virgin America first teamed up with the SF ACC to fly needy pups to new homes on the East Coast in 2010 to help address the influx of dogs at shelters on the West Coast. The overpopulation issue has only escalated since the original 2010 airlift, and as part of its long-standing partnership with and commitment to SF ACC, Virgin America is undertaking its sixth such airlift flight. Today, the airline also launches a “Lucky Dog” fare sale with fares from $49* one way (taxes and fees included, with restrictions applying) – with $10 from each ticket sold donated to the SF ACC. ** Tickets are on sale now at www.virginamerica.com and at 1.877.FLY.VIRGIN*** and must be purchased by 11:59 pm CT on March 19. Virgin America’s “Official Pet Liaison,” Boo and the Bay Area’s very own Dog Mayor of San Francisco, Frida, hosted a special St. Patrick’s Day green carpet send-off early this morning at the departure gate at San Francisco International Airport (SFO) for these lucky dogs before they began their journey – complete with green doggie treats and plenty of toys to play with until departure time. The Chihuahuas will be received at Newark Liberty International Airport (EWR) by the ASPCA® (The American Society for the Prevention of Cruelty to Animals®) early this evening. Virgin America teammate volunteers are escorting the Chihuahuas on the flight to the East Coast on March 17 and will track their journey with real-time, in-flight updates using the hashtag #OperationChihuahua on the airline’s Instagram and Twitter accounts via the airline’s fleetwide WiFi. 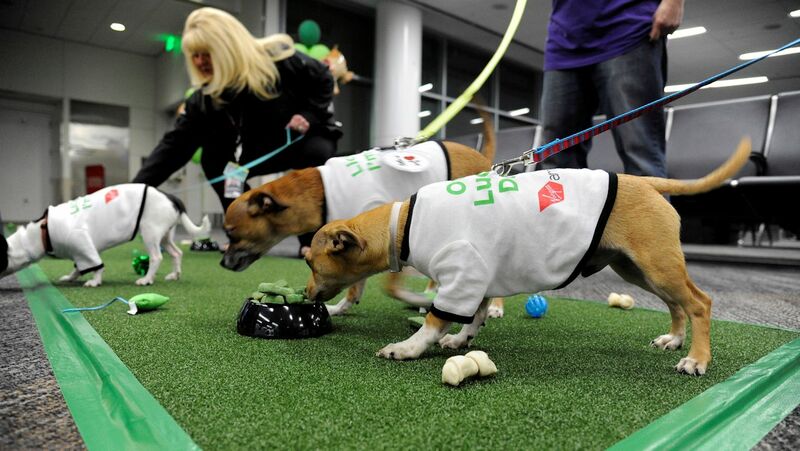 Virgin America is also asking its social fans to submit photos of their pets dressed to impress on St. Patrick’s Day – and the airline’s five favorite submissions will each receive a $50 gift certificate from PrideBite – which allows animal lovers to design and customize their pet’s toys and clothes. Since its launch in 2007, Virgin America has won a list of industry best-in-class awards for its topnotch service and tech-forward amenities like fleetwide WiFi and power outlets near every seat. The airline’s Red® in-flight entertainment platform offers guests on every flight their own seatback touch-screen TV, with more than 20 films, live TV, Google Maps, videogames, a 3,000 song library and an on-demand menu, which allows flyers to order a cocktail or snack from their seatback any time during a flight. The airline continues to expand its network across the country with flights to Austin, Boston, Cancun, Chicago, Dallas Love Field, Fort Lauderdale, Las Vegas, Los Angeles, Los Cabos, Newark, New York (JFK and LGA), Orlando, Palm Springs (seasonal), Portland,Puerto Vallarta, San Diego, San Francisco, Seattle and Washington D.C. (IAD and DCA). Photos of Virgin America’s unique aircraft and broadcast quality b-roll are available here. Known for its mood-lit cabins, three beautifully designed classes of service and innovative fleetwide amenities — like touch-screen personal entertainment, WiFi and power outlets at every seat, Virgin America has built a loyal following of flyers and earned a host of awards since launching in 2007 — including being named both the “Best U.S. Airline” in Conde Nast Traveler Readers’ Choice Awards and “Best Domestic Airline” in Travel + Leisure World’s Best Awards for the past seven consecutive years. For more: www.virginamerica.com. * Lucky Dog Fare Sale Terms and Conditions: All Main Cabin fares are one-way and require a 21-day advance purchase. Tickets must be purchased by 11:59pm CT on Thursday, March 19, 2015. Travel must occur between April 7, 2015 and June 10, 2015. Travel for FLL-SFO must occur by May 19, 2015. AUS-DAL service starts on April 28, 2015. Lowest sale fares are available only on certain itineraries. Lowest sale fares are only valid for travel on Tuesday, Wednesday, and Saturday. Seats are limited, subject to availability, and may not be available on all flights. Flights may not operate daily. Tickets are non-refundable and non-transferable. For travel solely between points in the Western Region (LAS/LAX/PDX/PSP/PVR/SAN/SEA/SFO/SJD only) and AUS-DAL, changes or cancellations can be made for a $100 fee per guest through all channels, plus any increase in fare, if applicable. For all other itineraries, changes or cancellations can be made for a $150 fee per guest through all channels, plus any increase in fare, if applicable. Any remaining balance will be placed in a guest’s travel bank, good for travel on Virgin America for one year from date of issue. Changes or cancellations of a booking made with Elevate Points will be subject to a $100 redeposit fee per guest. Guests who no-show without a change or cancellation prior to the scheduled departure time will forfeit the amount of this fare. In addition, any future flights booked in the same reservation will also be canceled and the fare will be forfeited. Tickets purchased from Virgin America through our reservation call center will cost an additional $20 per guest per itinerary. Any added cost associated with purchasing tickets from Virgin America through our reservation call center will be non-refundable. Fares will not be honored retroactively or in exchange for any wholly or partially used ticket. Fares, routes, fees and schedules are subject to change without notice. Virgin America will accept up to ten pieces of checked baggage, up to 50 pounds each, per ticketed guest traveling within the U.S. The fee for each piece of checked baggage up to 50 pounds is $25. Additional fees apply to baggage exceeding these weight limitations, and other baggage restrictions may apply. **SF ACC Donation: Virgin America will donate $10 for each ticket sold during the “Lucky Dog” fare sale to the SF ACC, with a maximum donation of $25,000 (cash and in-kind). MISSISSAUGA, ON, March 17, 2015 /CNW/ – Cargojet Inc (TSX: CJT) Cargojet today announced the expansion of its domestic air cargo network effective April 1, 2015. The recent introduction of five new Boeing 767-300F Extended Range Freighters, three new Boeing 767-200F Extended Range Freighters, and one new Boeing 757-200F Extended Range Freighter, brings Cargojet’s all-cargo freighter fleet to a total of twenty-four aircraft. These will provide significant additional air cargo capacity to meet the needs of our growing customer base across Canada. “With additional overnight frequencies; more direct flights; and wide-body freighter service to ten major Canadian cities, this new enhanced air cargo network will provide our customers with the consistent operational reliability that they demand. Cargojet is committed to providing a safe, secure and highly reliable level of service to our customers at all times,” said Dr. Ajay Virmani, President & CEO of Cargojet. “As demand for premium air cargo services continues to grow, especially in response to e-commerce business activity, Cargojet will continue to expand our range of value-added services and overall capacity available to our customers.” added Dr. Virmani. Cargojet is Canada’s leading provider of time sensitive overnight air cargo services and carries over 1,000,000 pounds of cargo each business night. Cargojet operates its network across North America each business night, utilizing a fleet of all-cargo aircraft. For more information, please visit: www.cargojet.com. Certain statements contained herein constitute “forward-looking statements”. Forward-looking statements look into the future and provide an opinion as to the effect of certain events and trends on the business. Forward-looking statements may include words such as “plans,” “intends,” “anticipates,” “should,” “estimates,” “expects,” “believes,” “indicates,” “targeting,” “suggests” and similar expressions. These forward-looking statements are based on current expectations and entail various risks and uncertainties. Reference should be made to the issuer’s most recent Annual Information Form filed with the Canadian securities regulators, and its most recent Annual Consolidated Financial Statements and Quarterly Financial Statements and Notes thereto and related Management’s Discussion and Analysis (MD&A), for a summary of major risks. Actual results may materially differ from expectations, if known and unknown risks or uncertainties affect our business, or if our estimates or assumptions prove inaccurate. The issuer assumes no obligation to update or revise any forward-looking statement, whether as a result of new information, future events or any other reason, other than as required by applicable securities laws. In the event the issuer does update any forward-looking statement, no inference should be made that the issuer will make additional updates with respect to that statement, related matters, or any other forward-looking statement. RICHMOND, BC, March 11, 2015 /CNW/ – Vancouver International Airport (YVR) was named #1 Airport in North America for the sixth year-in-a-row by Skytrax World Airport Awards, the premier international airport awards voted on by more than 13-million passengers worldwide. This is the first time in Skytrax award history that an airport has maintained a #1 ranking for six consecutive years. Vancouver Airport Authority is a community-based, not-for-profit organization that manages Vancouver International Airport (YVR). Canada’s second busiest airport, YVR served more than 19 million passengers in 2014. Fifty-three airlines serve YVR, connecting people and businesses to more than 110 non-stop destinations worldwide. YVR was voted Best Airport in North America, and Best Airport in the World for its size category of 10-20 million passengers, in the 2015 Skytrax World Airport Awards. Vancouver Airport Authority is a dedicated community partner and in 2014 donated more than $900,000 to local organizations. We are committed to creating an airport that British Columbia can be proud of: a premier global gateway, local economic generator and community contributor. For more information, please visit www.yvr.ca.